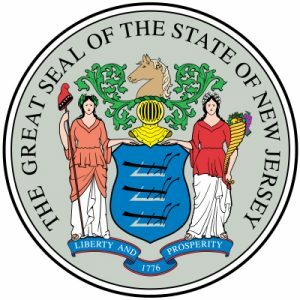 New Jersey Approve Budget Increase to Better Market Atlantic City! The NJ Casino Reinvestment Development Authority (CRDA) is making the headlines once again! In fact, just last week they approved the renovation of the Showboat. Now they’ve accepted a 10% budget increase for 2019 to better market Atlantic City. So, let’s look at the details of the latest news below. As you may know, Atlantic City is going through a complete renaissance these days. In fact, the message is loud and clear, Atlantic City is once again a memorable place worth visiting. With that said, CRDA plans to use $5 million from the 2019 budget of $6.7 million for marketing purposes alone. What’s more is that the budget will allow Atlantic City to hire an extra 45 police officers. Also, a portion of the budget will go towards transition governing control. However, NJ Governor. Phil Murphy said, “The state will retain control of Atlantic City until at least 2021.” So for now, plans to attract people to the city is the main focus and one of CRDA’s top priorities. Atlantic City has enjoyed one of the best summers in a long time. Not to mention, several online casinos records went up in smoke during September and October. Also, online sports betting brought a lot of extra revenue and attraction to the city since it became available in June. Plus, there’s a lot of growth opportunity in Atlantic City, and this $5 million marketing plan is really needed at this time. Think about it! There are at least seven huge vacant lots around the Boardwalk where something could be built. So, there’s plenty of opportunities in Atlantic City. And that’s the message people need to hear!